Oil prices are cratering after the IEA said that global oil demand is actually much weaker than everyone thought. The IEA lowered its demand forecast by 50,000 bpd in 2017 and 190,000 bpd in 2018, raising concerns that the oil market is actually not as healthy as it seems. That puts demand growth at 1.5 million barrels per day this year, and only 1.3 mb/d in 2018. In fact, the oil market might actually be oversupplied in the fourth quarter of 2017, which could deflate the recent price rally. Oil traders have gained confidence in the rebalancing effort lately, with impressive OPEC compliance and a high likelihood that the cartel extends its production cuts, perhaps through the end of next year. That has helped push Brent into the mid-$60s and WTI in the upper-$50s per barrel. OPEC added even more enthusiasm to the market on Monday, when it published a report that boasted of “high conformity levels” with the production cuts from its members, and noted that the group’s collective output fell by 151,000 bpd in October. OPEC’s Secretary-General Mohammad Barkindo said that there are “clear indications that the market is re-balancing at an accelerating pace and stability is steadily returning.” He went on to say that an extension of the cuts is the “only viable option” to restoring the cartel’s credibility. U.S. shale, and other non-OPEC producers will add a whopping 1.4 mb/d of fresh supply in 2018, essentially offsetting nearly all of OPEC’s efforts. 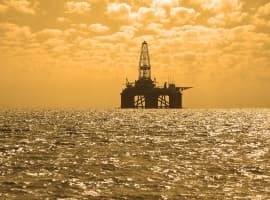 The IEA said that oil demand “will struggle to match this” huge increase in supply. 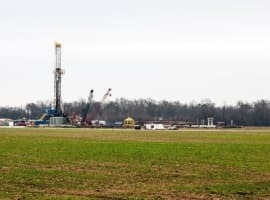 The Paris-based energy agency also said that U.S. shale supply would grow strongly for the next decade, making the U.S. the “undisputed” leader among global oil producers “for decades to come.” Over the long-term total shale production will reach 9 mb/d by 2025, an upward revision of 34 percent. The comments crushed oil prices. WTI was down by 2.34%, or $1.33 per barrel, during midday trading on Tuesday. Brent plunged by 2.52%, or $1.59 per barrel. OPEC says demand will increase, EIA says it will decrease. Who does the world believe? Here I think is the EIA's mind set. If oil prices goes up the US economy goes down, if the US economy goes down so does the demand for oil. With gasoline prices at $2.50 nation wide, old Yeller aka"J. Yellen" is fearful of an economic down turn. This is why trump is replacing her. Drain da swamp mon, tis the best ting you can do. Some IEA folks are making some sweet under the table money today. Congrats to them. Okay. I'm sorry but am I the only one who sees the blatant price manipulation being done by the IEA? Prices were the rise for 5 weeks. Most of the reports were bullish. Suddenly we get close to this OPEC meeting and the IEA reports turn bearish. Those guys couldn't make a true prediction if they had a crystal ball. Well, well, well, just in time for the holidays, too. The IEA is running the same play, sort of their version of the "fullback up the middle" (that's a true football reference for all non-American readers). It's the play where they call a demand increase of 1.3 mmbopd for a given year to be "weak" and then once the year in question actually begins they start revising it upwards and by the time the year is near the end, or over, they miraculously find that demand was in fact quite "robust" and the demand turns out to be 1.5 mmbopd, or higher. The fact of the matter is that the world will be needing 100 mmbopd, or very near that, by the end of 2018. And the next year it will need about 101.5 mmbopd, and then 103 mmbopd the following year . . . you catch my drift. It might fluctuate a few hundred thousand barrels per day, but demand is going nowhere but up. Oil prices have to go up because the American horizontals players are basically running in place at $45 - $55/bo. There will be no "strong growth of US shale supply" at these prices. Clearly a political move with no basis after France PM visit to KSA, where things did not end well. Someone should look at the reliability track record of IEA predictions and realize they merit zero credibility . They are absolutely horrendous at predicting storage, supply or demand. Surely traders are smarter than that. I think Vitol payed off the IEA to concoct report this. This is completely opposite of OPEC forecast. Look at market timing, done right before the US markets open. I smell a Swiss rat. As long as the oil TRADERS are rigging the barrel prices. The consumer gets the oily end of the stick. Where's the law for this price gougeing. The IEA/EU will do anything they can to get cheap oil off the backs of OPEC and various 3rd world countries while increasing the amount of tax they collect. I just home this type of smear tactics don't lead to an embargo. Every seller, trader want to earn windfall gains on gods gift called oil. Some countries produce it at a cost of US$ 1 to 2 per barrel. Some others may not be that lucky produce it at US$ 10-35 per barrels. Very few produce it above that. Let the markets and demand supply play its role rather than politics, production cuts, traders speculations and money managers advise.